He has helped numerous patients in his 13 years of experience as a Dentist. He has completed MDS - Periodontics . Save your time and book an appointment online with Dr. Subash Subramanian K Dr Sai Subash G on Lybrate.com. Lybrate.com has a nexus of the most experienced Dentists in India. You will find Dentists with more than 41 years of experience on Lybrate.com. 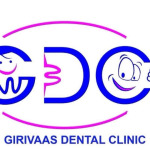 You can find Dentists online in Choose City and from across India. View the profile of medical specialists and their reviews from other patients to make an informed decision. I am 30 years old and in 2007 I have faced root canal treatment and now in same teeth I am having sever pain now what is best option to go with same rct or any thingh else. Unfortunately rct in your treated teeth is a failure (thats why the pain). Go for re rct or get it removed. When I sleep after some time my mouth full of spit and I have to spit. After spitting again my mouth full of spit. What is it. And what is solution. It is due to secretion from the salivary glands and is considered to be normal and when you are awake you swallow it but at night it comes out because you don't swallow it. Sir my friend has mouth ulcers for over 2 days can you please tell me what should I do? Try to find out what is causing the ulcers. Is this happening again and again? is this related to your monthly periods? are you always biting your cheek or lip? did you bite your tongue accidently? do you have sharp, pointed teeth near the ulcers? are you under some stress? for relief of pain, just apply plain glycerin liquid three times a day and let it remain n contact with the ulcer by closing your mouth, not swallowing for at least 30 seconds after applying it. I am having a problem in my teeth's my teeth's are unhealthy they are yellowish and blood comes out every time I brushed my teeth. You have gum disease known as gingivitis with plaque deposition. Scaling will help you in this regard for stains you can go for bleaching. Stop tobacco, pan, alcohol and smoking if you have these habits. Rinse your mouth with chlorhexidine mouthwash. Use crest toothpaste. Hi Doctor, My mother is suffering from toothache, and could resist the pain, please suggest good tablets which cures her tooth ache. The permanent cure for a tooth ache is to visit a Dentist. Medicines are temporary cure. Moreover prior to give any medicine we need to know the Medical History of the patient like allergies and all then accordingly we can give any painkillers and antibiotics. I hve mouth ulcers please resolve my issue. I hve so pain in my mouth. Please say what should be done now. Hi. Mouth ulcer is a multifactorial problem. Thats means could be because of many reasons. What I would suggest to have 1. Vimanin B complex like Becozinc once daily for one month 2. Use Dologel CT ointment directly on the ulcer twice or thrice a day till you get the relief 3. If you consume dairy product a lot stop taking it. That means stop consuming milk product. I hope it will help. I have teeth problem I am getting so much pain plzzz how to cure it plzz help me Sir. Hi, maintain oral hygiene. Brush your teeth twice daily. Rinse your mouth after every meal. Avoid sugary food. Massage gums while brushing your teeth. Take a vitamin c supplement daily. If pain persists, show yourself to a dentist.